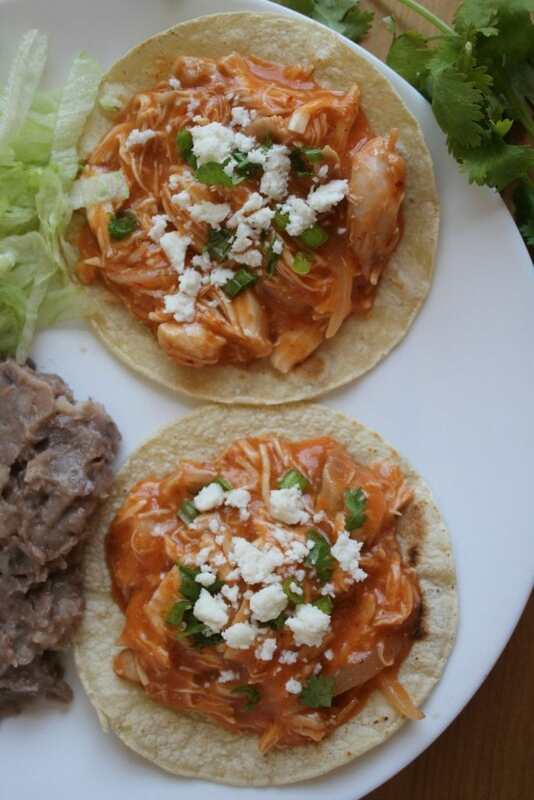 Jazz up your weeknight meals with Chicken Tinga Tostadas. 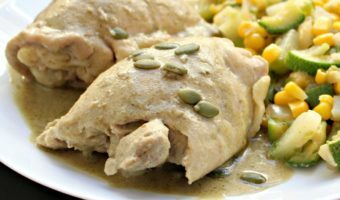 This dish is a classic Mexican favorite that comes together easily and deliciously. 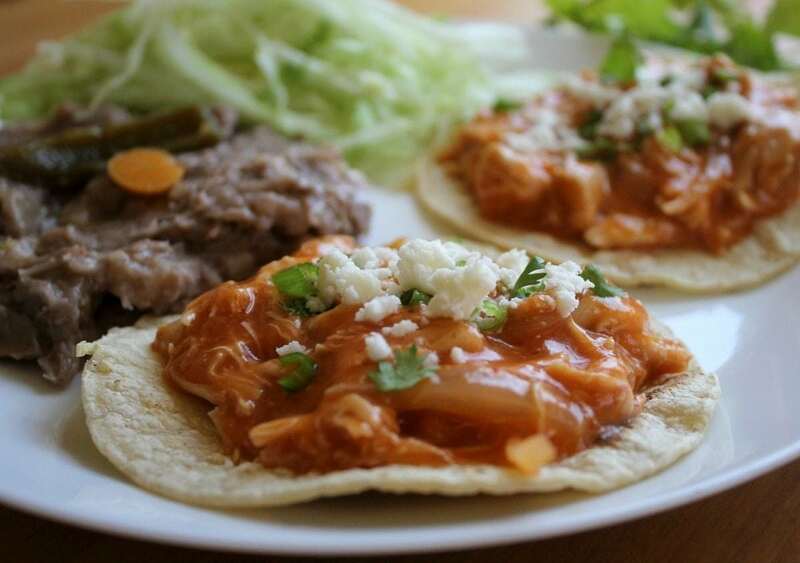 Chicken Tinga Tostadas. YUM! Tinga is a funny name. Don’t you think? Tinga, I wanna bring ya. LOL. The Hubs really brings out my funny side. He and I have quite the age difference. 18 years to be exact. We get asked crazy questions by people who really should be minding their own bees-wax. What do you have in common? Did he lie about his age when you first met? Did you lose a bet, Maggie? To answer all your questions: We have a lot in common, no, and I’m not a betting woman. The Hubs is the funniest, smartest, and most handsome man I’ve ever met. The one thing I love most about our relationship, though, is that we are constantly laughing. Sometimes, to the point of snorting. Chicken Tinga Tostadas is one of those dishes that’s perfect for potlucks and parties. You can make it ahead of time. 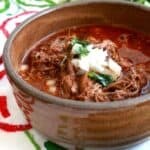 You can even make it in the crockpot. Love that amazing little item in my kitchen. Don’t you? Tinga is also good for super easy weeknight meals. If you have leftover chicken, just make the sauce and done! The sauce is very simple. Tomatoes and chipotle. Blend until smooth (no chunky-style here).. This is your opportunity to adjust the heat. 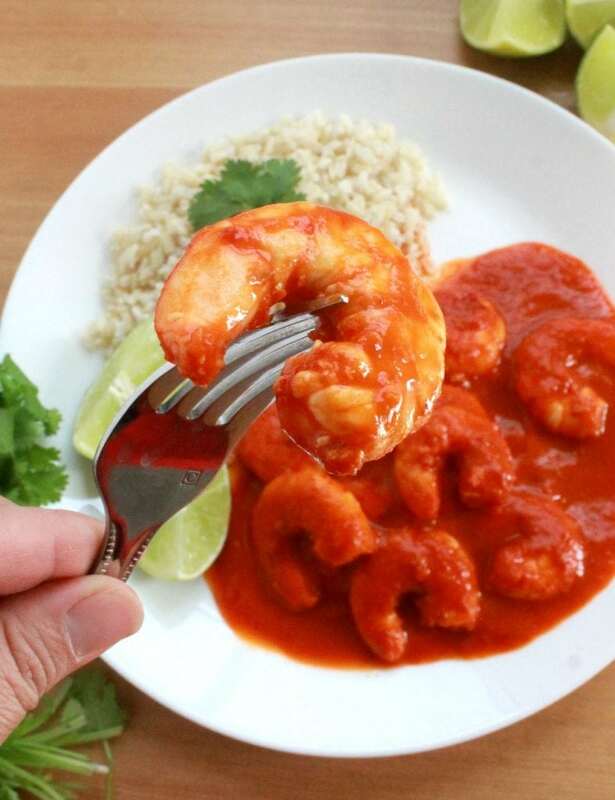 You can add as many or as few chipotles as you like to the sauce. Some like it hot. I like muy caliente! 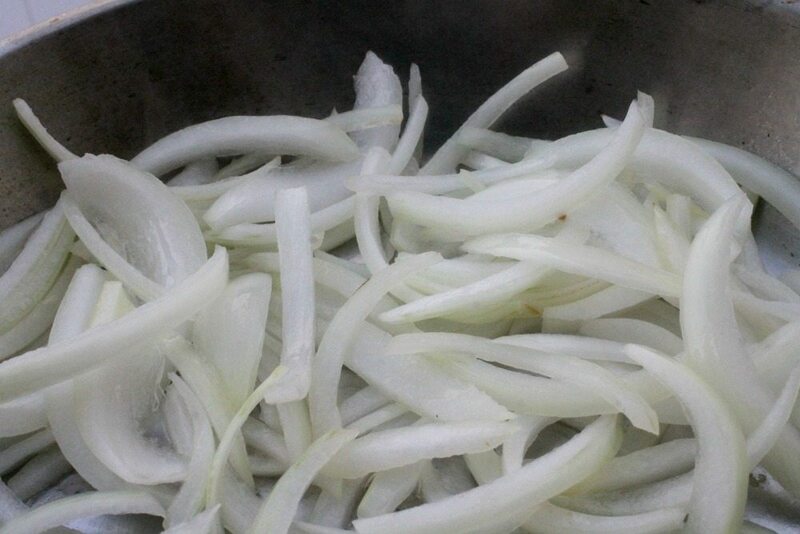 Next, sauté sliced onions. Isn’t it funny how you have to make certain dishes a certain way. I always make Chicken Tinga Tostadas with sliced onions. If you like them diced, that’s fine too. Personally, I just think that a slice is nice. 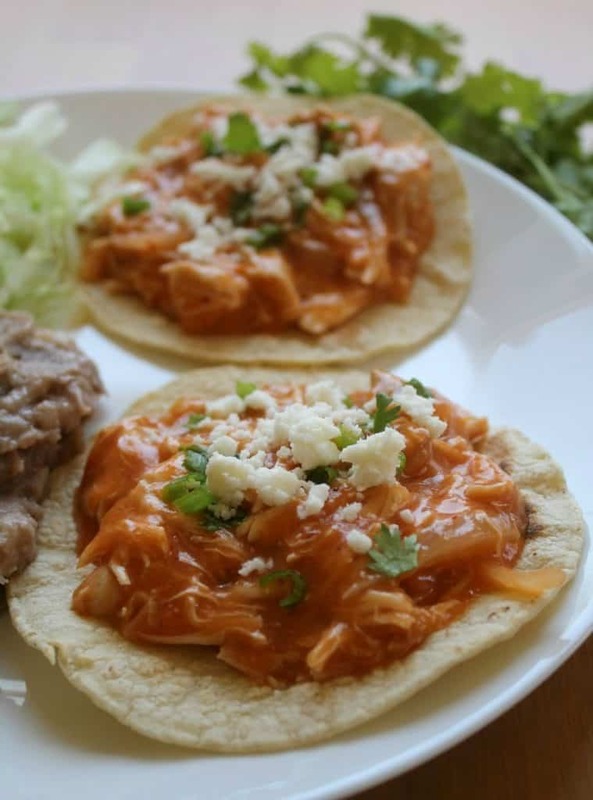 Tinga is usually served as a tostada. The toppings vary. In this pic, I topped my tostada with the chicken, a little sprinkle of Queso Cotija, and chopped cilantro for color. Some people will add a layer of refried beans first, but I usually serve them on the side. You can also add avocados, sour cream, green onions, sliced iceberg lettuce. “See, Mom. I DID have a salad!” Hope you enjoy! In a large stockpot, add the chicken, ½ onion, garlic, and water. Cook for 25 minutes or until chicken is no longer pink. Remove chicken from the pot. Reserve the liquid, and discard onion and garlic. 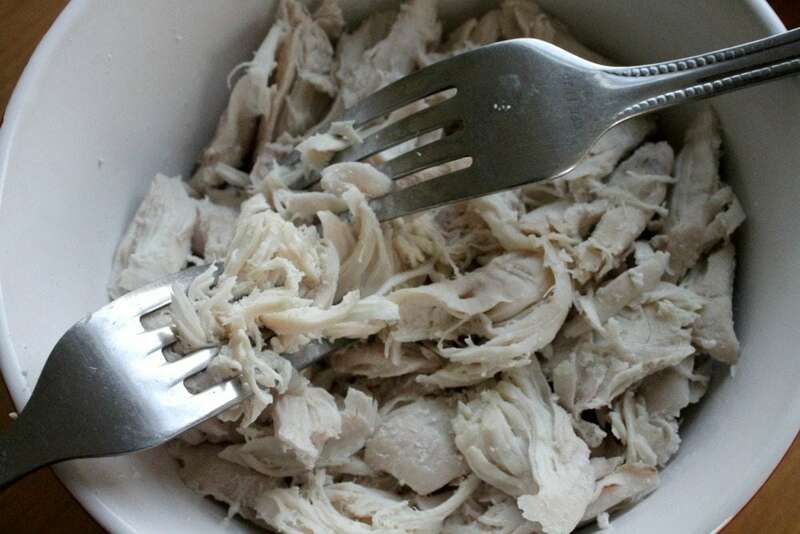 Once the chicken is cool enough to handle, shred the chicken with a fork and set aside. 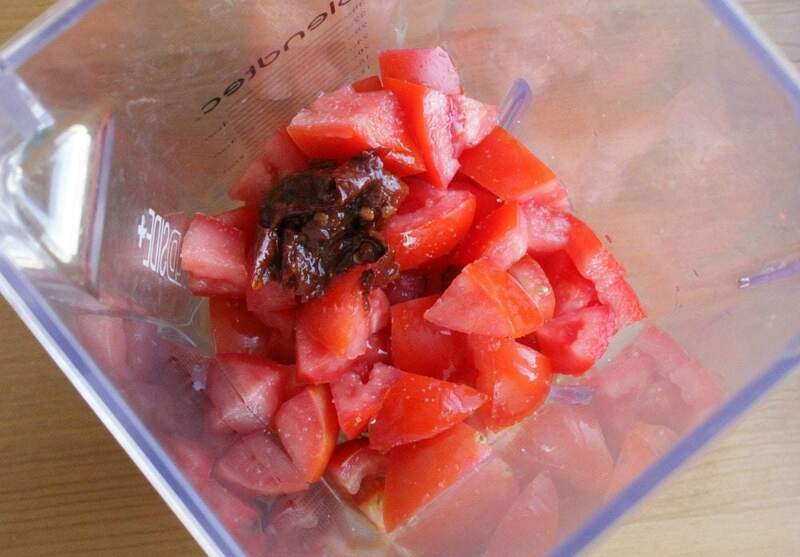 Add tomatoes, chipotle, and 1 cup of the reserved chicken broth to a blender. Note: You can save the remaining chicken broth for another dish. In a large pan, heat the oil. Add the onions and cook until translucent, stirring constantly. 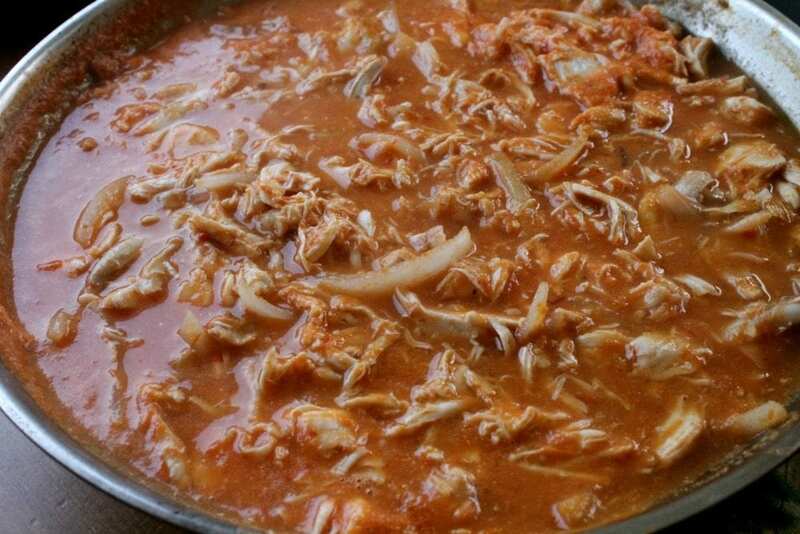 Add the shredded chicken and the sauce to the pan. Let simmer for 10 minutes. If needed, add a little more chicken broth. Add chicken to the tostada, shredded lettuce, cotija, and sour cream. Yum! This will add some variety to my chicken menu list. I would love to make more Mexican meals at home. These tostadas loo lovely. Definitely trying them. Awesome! Hope you enjoy these tostadas. 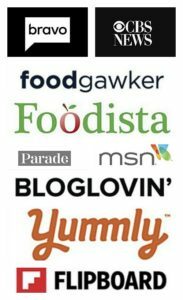 I am always looking for ways to mix up chicken recipes (am I the only one that gets bored with chicken!?) and this looks PERFECT. Can’t wait to try it! Yes! Hope you like it. This looks so simple! My husband is such a chipotle fanatic, he’d love it. 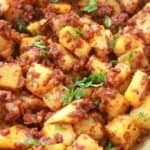 I love Mexican food and this is a must try! 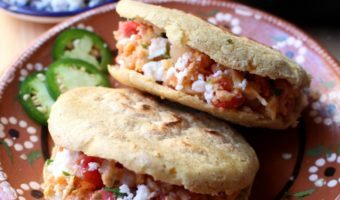 We always make tacos, enchiladas and quasedillas but it looks like we need to go a step further and try these tostadas! You soooo should! 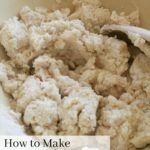 I can almost guarantee that you’ll like this recipe. 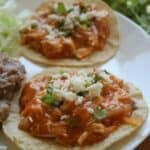 I LOVE tinga and am excited to try a new recipe. My friend’s mom wrote her recipe on an index card and it is hard to read! Glad I could help. Hope you enjoy!